you smile and say “thank you” [the “thank you” you give for the leopard print dress your mom buys at a thrift store (this happened) or the snowman plates you get from your grandma for Christmas (this did not happen, but grandmas take note! Snowman plates for a 24-year-old girl/woman/whatever=unnecessary)] because even though 4 green beans is not exactly what you wanted, you want the garden to keep giving you green beans. You also tell the rabbits “thank you” on your way out of the garden; it was only through their charity. You take a few photos, chop them up, saute them with some kale and they disappear. I am writing with exciting news. 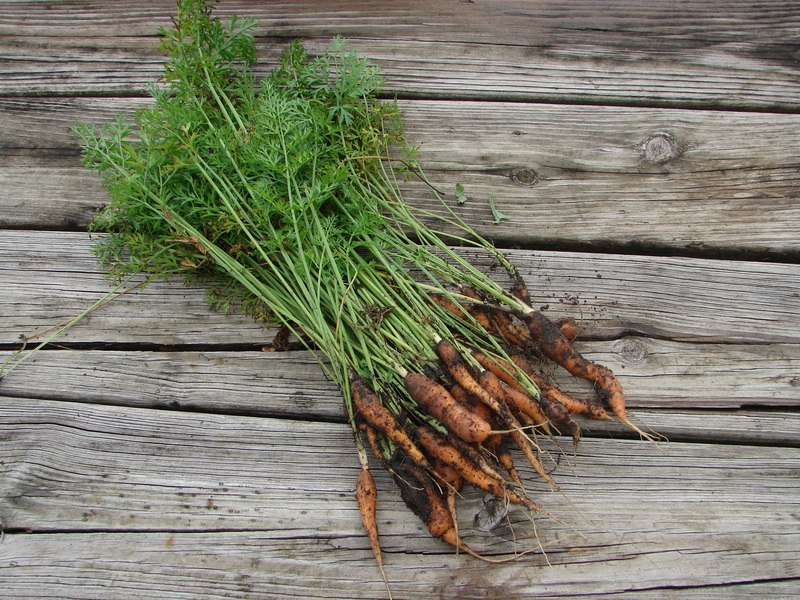 The first summer that we had our own garden, we tried to grow carrots. 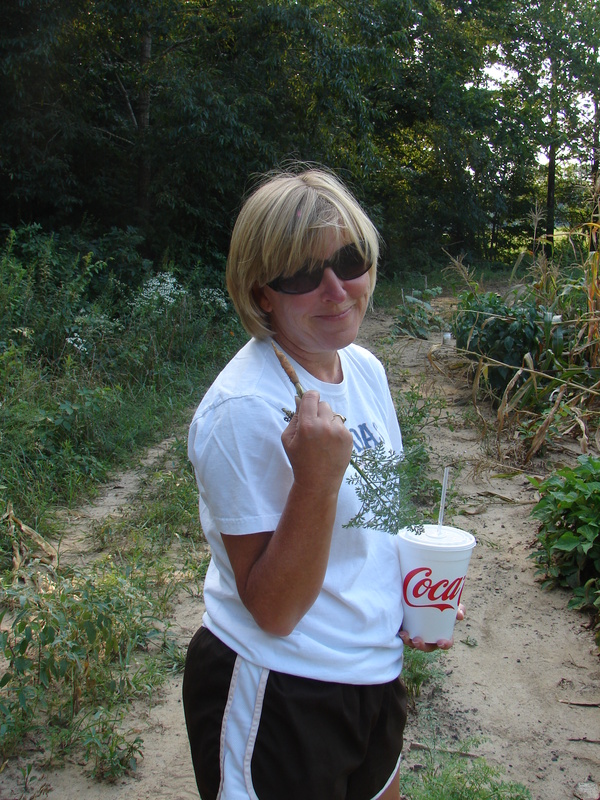 That was the summer when all the older ladies in Bollinger County thought we were way cool for being young and wanting to have a garden and Grandma bragged on us a lot. It was the summer when our garden looked like it belonged in The Hundred Acre Woods. It was also the summer when I left for about a month and Grandma took care of everything, and (not surprisingly) everything grew quite well. We tried to grow carrots. When we pulled them up before I went back to school, I ate one. It was a thin little root of a thing, sort of off white, not orange. You asked what it tasted like and I responded, “It tastes like dirt.” Then you ate one, too. You may remember this. Well, in a Sunday morning miracle of sorts, I learned that carrots can, in fact, be grown. Please see the attached photo. They are still small and they are covered in quite a bit of dirt. Some of them are shaped really oddly, like two carrots fused together or half of someone’s finger. Some of them even have a second carrot starting to grow from the bottom of the first carrot. However, they are orange and I had them with both lunch and dinner today and can assure you that they do taste like carrots. I am still not sure how to grow carrots, so I cannot share that with you. These were planted in the fall and then somehow came back in the spring. I did not know how to tell when they were “ready,” but the stems were getting really tall and it was starting to look a little messy. Since I already had a hand shovel out this morning, July 3rd seemed to make sense as their harvest day. I hope everything in your garden is growing well. 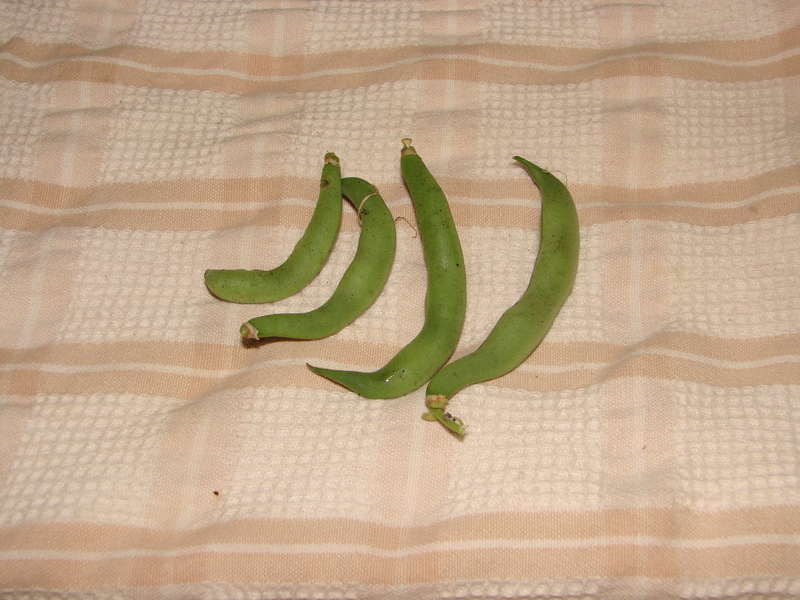 Since you mailed me green beans last year when mine failed, you should probably check the mail soon. Things in the garden are abounding. If I wanted to, I could probably just eat all day long. The rabbits probably do eat all day long. They’re cute, though, so no one minds. I gotta get cuter. It is also super hot, especially these last few days. 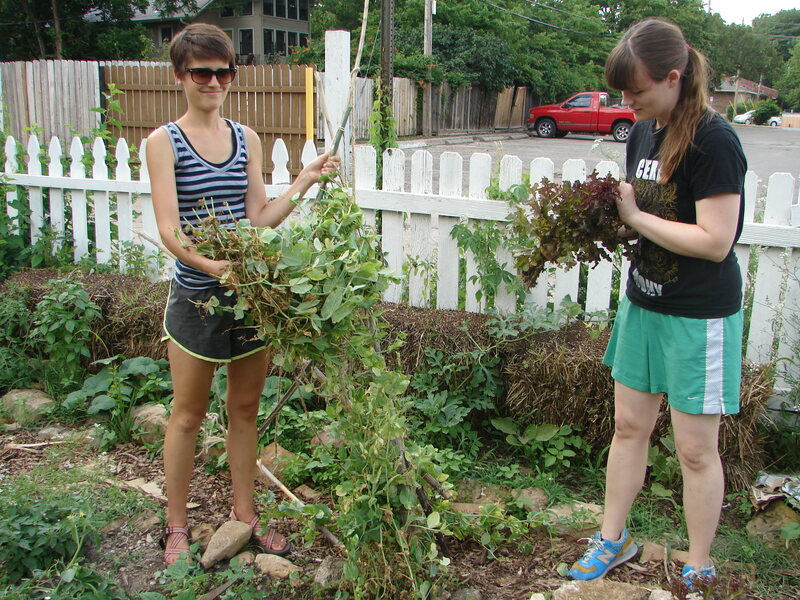 Obviously a lot of the springier things are gone–spinach, lettuce, sweet peas. It was a little sad when Amelia and I tore down the lovely trellis we’d put in. It was actually kind of hard to get out, too; roots run deep. A lot of things are getting big and/or wilty and/or bug eaten (chard, kale, purslane). Some things are just getting ready to be harvested–potatoes (I cannot wait to dig potatoes), garlic, onions. Luckily, weeds can handle just about anything, so my new favorite Michael Pollan approved green–lamb’s quarters–is doing a-okay; it’s everywhere, actually. The corn in the communal plot is getting tall, as is the okra, eggplant plants, and peppers. The tomato plant in our individual plot has quite a few green tomatoes on it already and is actually quite large. I kept forgetting to put the cage on it, so when I finally did, it was a little too big already; I’m not sure how well that’s going to work out. We have lovely rows of green beans, but I think the rabbits might be eating the parts that matter. This will mark my fourth unsuccessful green bean year, so though I may be calling it too soon, I’m accepting that I may never be a green bean canner like Grandma Pat. In our individual plot, Amelia and I have also planted sweet potatoes, watermelon, and pumpkins. Some of these pumpkins have the potential to be 15-20 pounds, county fair blue ribbon pumpkins. I heard that people who win blue ribbons actually grow their pumpkins on trampolines; I think there’s a documentary about it. Because it’s been so hot (and because of teaching and friends and writing and class), I feel like I’ve been neglecting the garden. One Sunday afternoon, Clare and I played in the sprinkler while we weeded, which helped. It’s starting to need some serious love, though. This weekend it will get love. As you may have gathered by now, at any given time, I can tell you my favorite thing about the garden. I am fickle, so this changes. 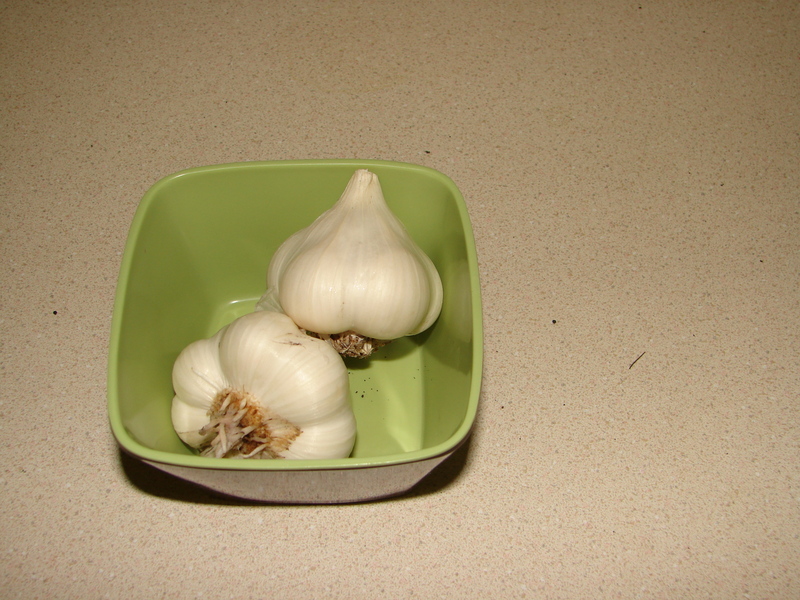 And here is this week’s: fresh garlic cloves. You can dig them up and use them immediately. I have found that the following combination creates the best meal ever: anything + butter + sea salt+ garden onion + garlic. But how much garlic can someone use at once, you might ask? Actually, judging from my life the last few weeks, a lot. Since it would be lovely to have garlic into the fall/winter, though, I looked into how to dry it. Though you can just dry the cloves by sitting them out, I found a technique called “braiding,” which sounds infinitely cooler than saying “sitting them out to dry.” Braiding garlic is what it sounds like. 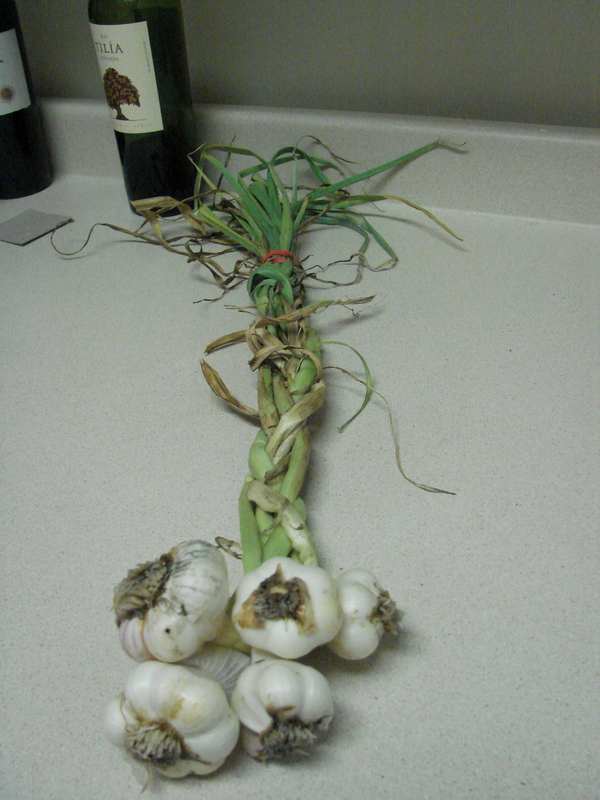 You leave the stems on the garlic and braid them…like you would pigtails. After the stems are braided, you hang it all outside to dry. It will keep for quite awhile. I think the idea is actually to braid a lot of garlic (15-20) cloves, but that’s too much for only one me. Apparently some people hang the entire braided garlic thing in their kitchen so it can serve both functional and decorative purposes. 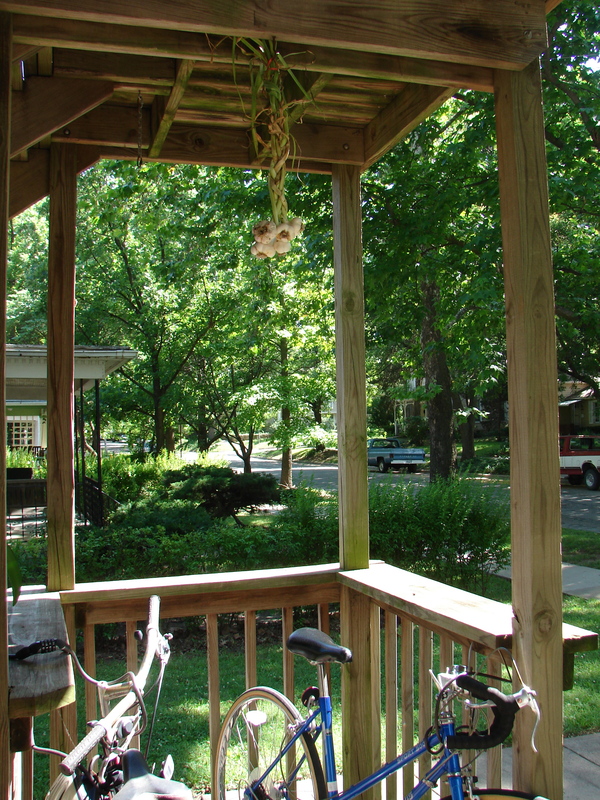 My braided garlic is currently hanging on our front porch drying. Next week, I’m curing a ham Old Yeller style.